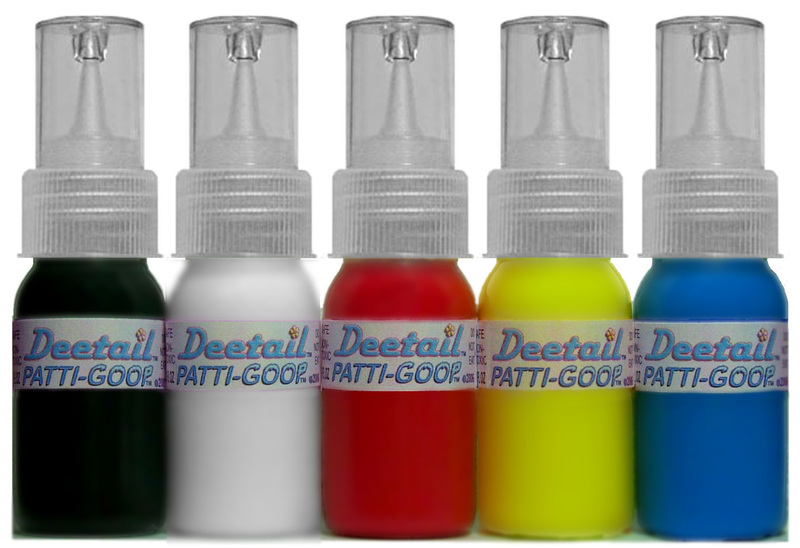 DEETAIL PATTI-GOOP is a very thick concentrated formula that stays exactly where you put it. Apply DEETAIL PATTI-GOOP to the mold first to add detail, accent colors, or contrasting colors to all your creepy, ghastly, or pretty rubbery toys. I apply mine with a toothpick. A very small and thin application of DEETAIL PATTI-GOOP makes a very opaque detail on your creepies, so a little goes a long, long way. Then pour regular PATTI-GOOP on top to fill up the mold and bake as usual. 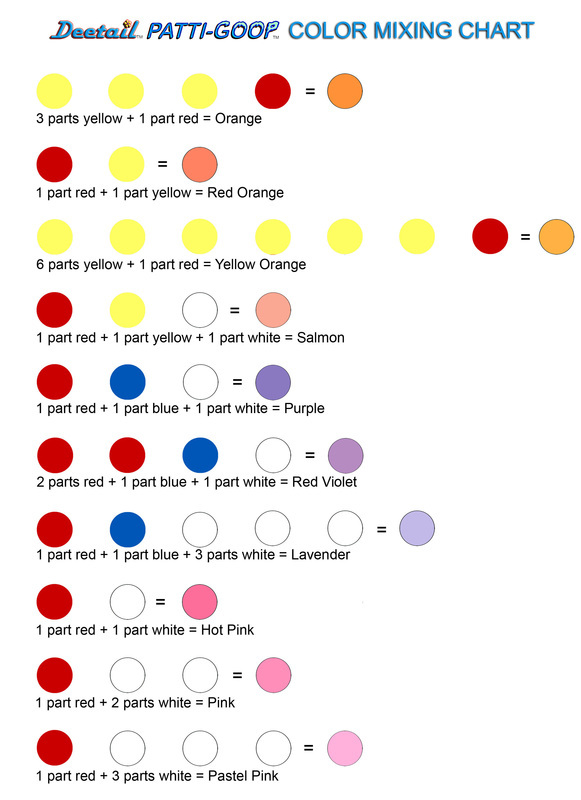 You can bake all your colors at once, without any of them running together. Use with the original Thingmaker oven from the 60's, or any oven made for baking goop. DEETAIL PATTI-GOOP works with any brand of plastigoop. These are 1 FLUID OZ. bottles with a detail tip. I only ship to CONFIRMED ADDRESSES in PayPal. FIRST CLASS SHIPPING IS INCLUDED IN PRICE! NEW!!! 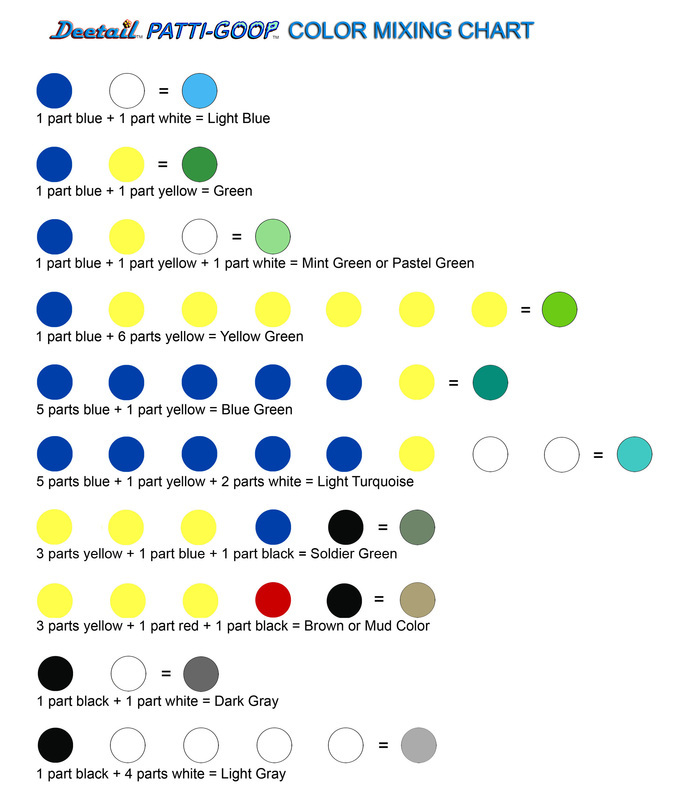 DEETAIL COLOR MIXING CHARTS! This product has been discontinued because it was not a big seller.